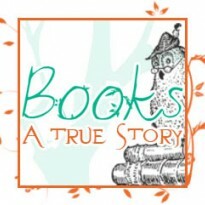 I like to read young adult and classic literature and think about them too much and look up random tidbits on google. 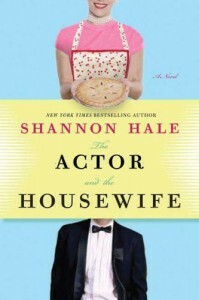 This book is also reviewed on my blog Books: A true storyThe Actor and the Housewife was an emotional journey full of Shannon’s usual charm and wit. It explored really well the idea of whether a men and a women can be “just friends.” I got to live out the fantasy vicarioulsy of “What if you met your ultimate Hollywood crush” and it was a lot of fun. I loved this witty and sweet story that had some heartbreak in it, too. And ahhhh the culture of the ’90s.Becky, the housewife was very relatable to me. Yes, I am a Mormon housewife and her life sounds a lot like mine (except I don’t make pies), but it was more than that. She’s not ashamed to be a little cliche and she never apologizes for who she is which made her very likable. Becky is able to build a relationship with the actor, Felix, even though they are almost complete opposites. The real chemistry of the relationship between the actor and the housewife comes from the fact that they don’t try to change each other and they respect each other. Their banter is so funny. Honestly, the relationship felt awkward sometimes, but I could really see it happening. It did make me wonder if actors do have “real” friends. One of my favorite scenes was Becky struggling to deal with her crazy kids and the actor just being in awe. It was nice to see her life through his eyes.Now to what I didn’t like. Basically, the ending.The Spoiler-Free VersionI really wanted it to end differently. Though I can appreciate the fact that the way it did end was very non-cliche and supported the point that the story was trying to make, it left me feeling let down to the point that I kind of wondered what the point of the whole story was. My disappointment is more than just not getting my way. I felt like it hadn’t really gone anywhere. Neither of the characters had changed or progressed very much.The Spoiler VersionClick the spoiler tag below.I really, really wanted them to get together at the end. The fact that they didn’t meant that their relationship stayed the same through the whole story leaving me to wonder what the point was. My disappointment is more than just not getting my way. They are friends through the whole novel and the fact that they remained that way makes a statement that you can be just friends but at the same time neither of them really changed or progressed at all. It made me fee like the story didn’t go anywhere. Overall, it was an entertaining, witty story and the perfect beach read while I was on vacation. It was pure escapist fun even if I was disappointed with the ending.